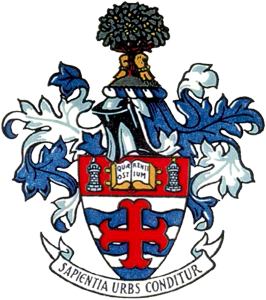 The University of Nottingham is a public research university based in Nottingham, England, the United Kingdom. It was founded as University College Nottingham in 1881 and granted a Royal Charter in 1948. Antimicrobial Resistance in the Food Chain via FutureLearn 3 hours a week , 3 weeks long 3 hours a week , 3 weeks long 7th Aug, 2017 No reviews yet. The Qur'an Between Judaism and Christianity via FutureLearn 3 hours a week , 4 weeks long 3 hours a week , 4 weeks long 15th Jan, 2018 No reviews yet. The Politics of Economics and the Economics of Politicians via FutureLearn 3 hours a week , 3 weeks long 3 hours a week , 3 weeks long 12th Feb, 2018 No reviews yet. Learning from the Past: A Guide for the Curious Researcher via FutureLearn 4 hours a week , 3 weeks long 4 hours a week , 3 weeks long 3rd Sep, 2018 No reviews yet.